Content The Summer Course of Portuguese Language and Culture gives participants from different countries an opportunity to improve their skills in Portuguese or to start learning the language. Time Office Hours: Monday-Thursday 09:00-13:00, 14:00-17:45; Friday 09:00-13:00, 14:00-17:30; Office is closed on Saturdays, Sundays and public holidays. 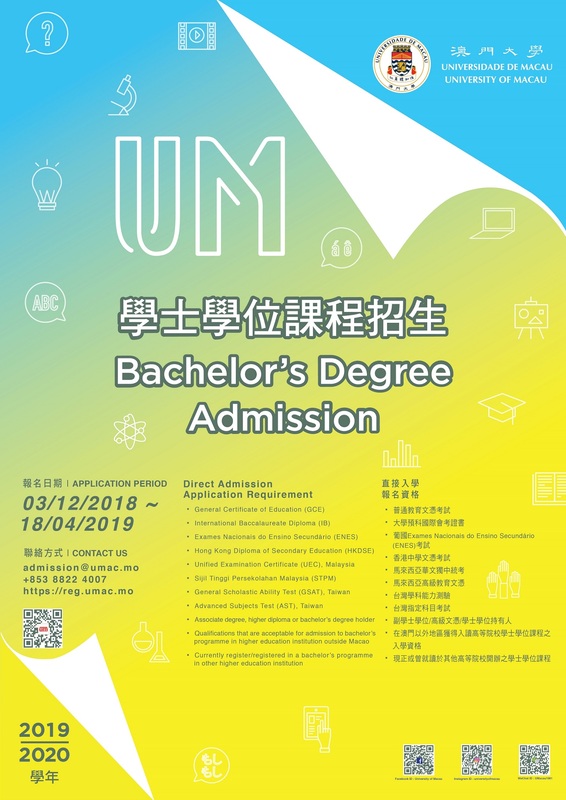 Content Admission Rules and Online Application are available at the Registry's website at https://reg.um.edu.mo/admission/ during the application period. - The Philosophical Dào (道) of Plato and Mencius, differences and similarities. - Love in Plato and Mencius: rising and remembering the Way of Heaven. Professor Ana Alves is currently an academic teacher and researcher of University of Lisbon. 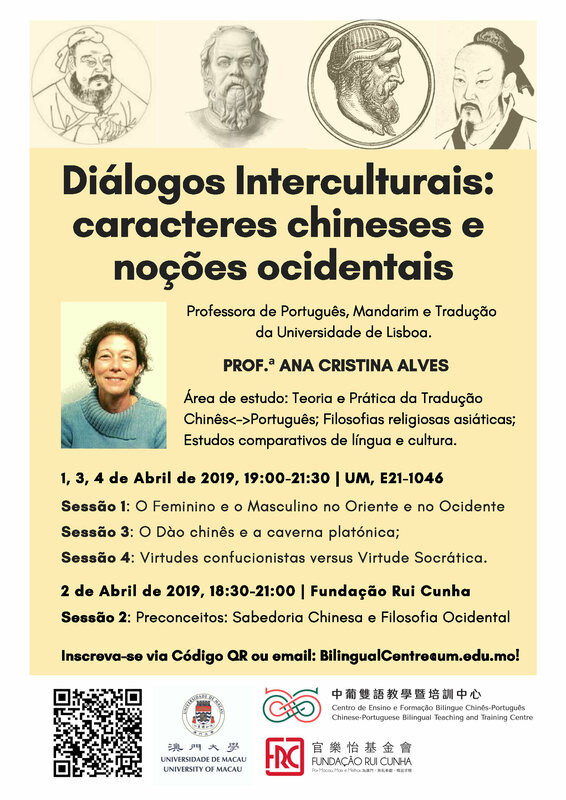 Her research area include Chinese and Portuguese Languages and Cultures, Chinese Religious Thoughts, Chinese-Portuguese Translation Theory and Practice. She has many articles and publications on Chinese and Portuguese cultures and translation. 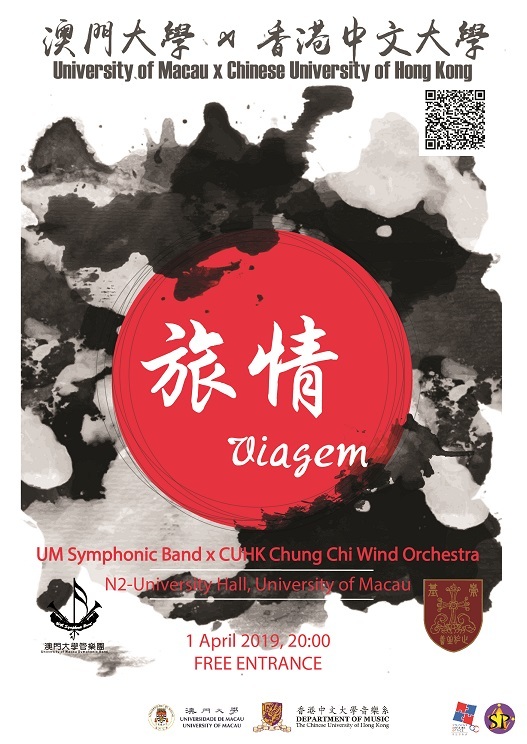 To register, please scan the QR code on the attached poster or visit the following link: https://go.um.edu.mo/lngjpne8 by by 3:00PM Friday, 29 Mar 2019. 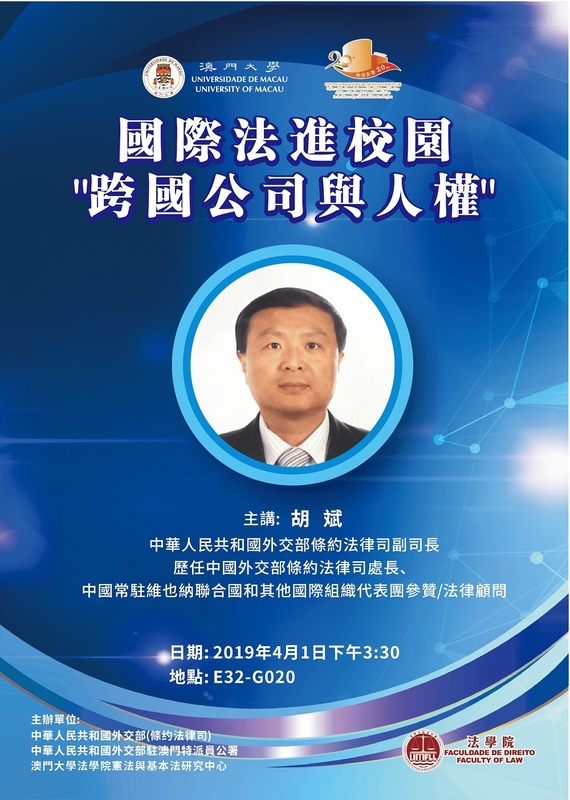 Remark Session 2 on "Prejudices: Chinese Wisdom and Western Philosophy" will be held at Rui Cunha Foundation on 02/04/2019 18:30-21:00 that will open to the public.